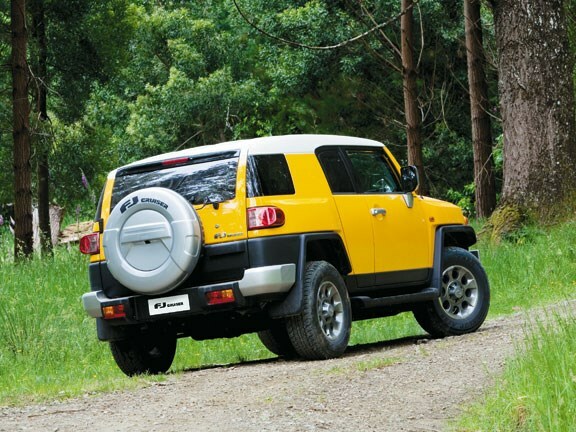 Steve Vermeulen drives Toyota’s FJ Cruiser and asks how much is too much retro? 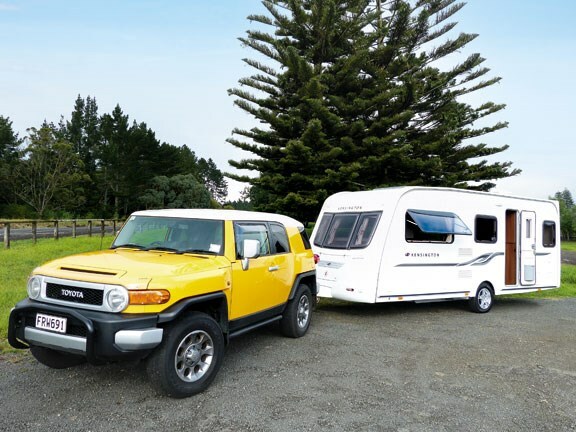 For those old enough to remember the original FJ40 Land Cruiser that inspires the Toyota FJ Cruiser’s styling, you’ll also know the elder FJ was an iconic piece of Toyota’s heritage in New Zealand. With spectacular off-road ability and bullet-proof mechanicals, what more could the Kiwi farmer ask for? It was deservingly a hit. The new design – primarily penned for the bling-fixated American market – straddles the line between being a fresh-faced, tip-of-the-hat to its forbearer and becoming a caricature of the icon. One that inevitably compromises the vehicle, especially for dedicated towing duties. Underneath the bright yellow paint and hot wheels body styling is a slightly shorter wheelbase version of the Land Cruiser Prado, one of the best tow vehicles on the market. The engine and drivetrain too are shared with the Prado and with a 200kW V6 petrol (developing 380Nm of torque) on board you’re far from wanting for grunt. It’s an eager, free-revving engine that’s quick getting power to all four wheels via the electronically-controlled, four-wheel drive system. There’s genuine off-roading talent at your disposal here should you need it and water-fording or navigating thick mud is all in a day’s work for this work horse. I found the FJ very restrictive in terms of rear visibility, the high shoulder line, low roof design and small porthole rear side windows aren’t conducive to reversing a caravan. A saving grace is the standard reversing camera, which makes backing up to the drawbar a one-man job. But you’ll want to invest in some mirror extensions or a spotter to give you the confidence to reverse through tighter quarters. On the road the FJ also surprised with the weight of a Kensington caravan. I have towed this van before behind Toyota’s smaller, less rugged Highlander SUV and don’t recall as much movement at motorway speeds. 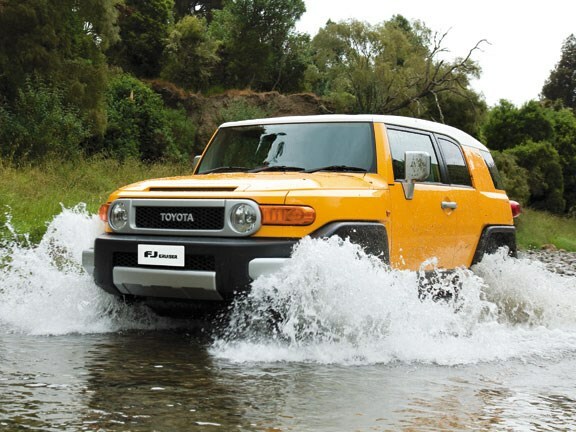 In the FJ’s defense, the conditions were blustery, but perhaps that shorter wheelbase and tall centre of gravity have induced some instability at speed. You’ll have nothing to worry about at the legal, 90km/h limit but momentarily exceeding that by 10km some swaying becomes evident. A tandem trailer will also help iron this out I suspect, so if your dealer has a demonstrator with a tow bar be sure to do a tow test with your rig. Unburdened by a trailer, handling is suitably competent for a vehicle of this size. It won’t change directions at the drop of a hat and ultimately I do prefer the more well-planted feel of the larger Prado, but nicely damped suspension, along with stability control, keeps you on track and comfortable on the open road. Practicality also suffers in the design. 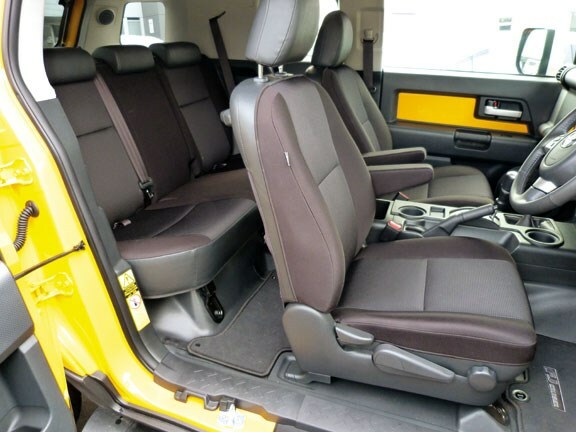 The rear doors are rear-hinged "suicide" doors but they don’t allow very easy access to the rear seats and lifting kids or equipment in/out is a back injury waiting to happen. Meanwhile the rear luggage compartment is generous, but the side swinging door won’t open fully if you’re parked too close to the garage wall. You aren’t hard done by on specifications. 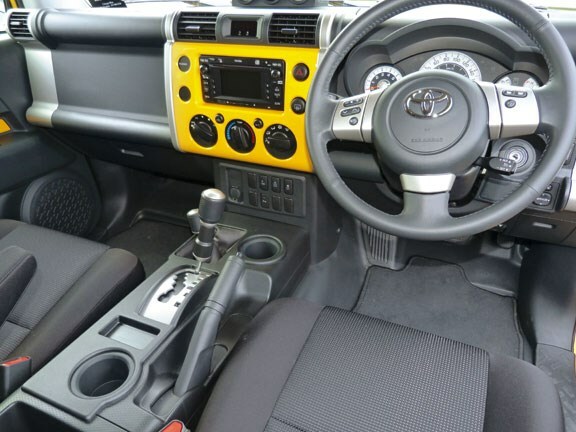 Standard equipment includes a colour-coded, retro-themed dash fascia, cruise control, USB/iPod compatible audio and Bluetooth hands-free compatibility and an accessory meter (it includes compass, outside temperature and inclinometer). You’ll also find the full complement of modern safety features including front, side and curtain airbags, and plenty of hidden storage units for loose items. Disappointingly the steering column is adjustable for tilt only, not reach. It’s a cool SUV for those wanting to flaunt that tough truck styling. But you’ll have to accept plenty of compromises if this is your regular tow wagon. Unless you insist on the retro look, you’ll find the fully-grown Prado a much more capable unit. See the Toyota FJ Cruiser for sale on Autotrader.